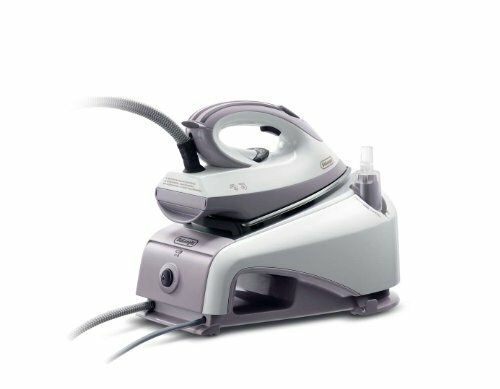 220-240 Volt/ 50-60 Hz, Compact Ironing System with Closed Boiler, 0.85 Liter Boiler Capacity for approximately 90 min ironing, 2200 Watts Maximum input power, 1400 Watts output Power Boiler, 800 Watts output power Iron, Funnel water control, Stainless steel boiler, Up to 80 g/min Steam production, 4.5-bar pressure to guarantee professional results, Safety cap, Separate switches for iron and boiler with indicator lights, "Steam ready" indicator light, Steam control knob to adjust steam emission to fabrics being ironed, Safety thermostat, Domestic iron, with stainless steel soleplate, Exclusive button on steam control permits having continuous steam, Adjustable iron thermostat, Vertical rest position, Vertical steam emission to iron curtains, coats, etc, Anti-sledging Iron rest base, Easy Storage and transportation. Given that this is a really low cost , i’m truly astonished with the purchase. The store is great! Farberware P13-1357/30433 percolator pump stem, 12 cup.